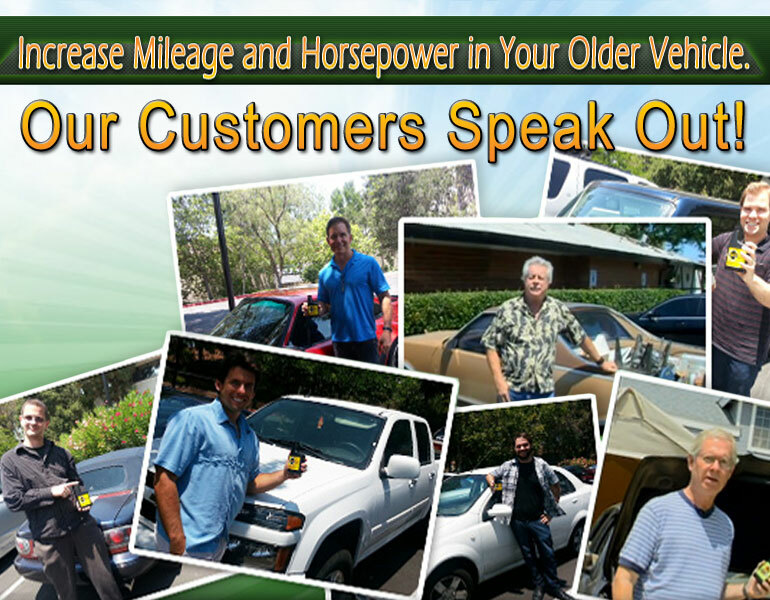 How much GO-15-HF™ engine treatment do I need for my car? 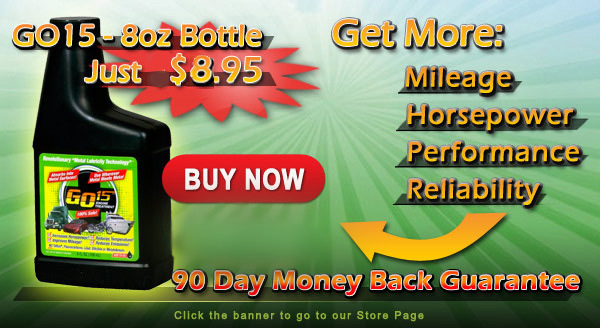 Two ounces of GO-15-HF™are needed to treat One quart of motor oil. Have a 4 Cylinder Car? Have a 6 or 8 Cylinder Car? Slick50 Bearing FAILURE at 1300 lbs of pressure. Duralube Bearing FAILURE at 1600 lbs of pressure. GO-15-HF™ Still Going Strong at 4,500 lbs of pressure! 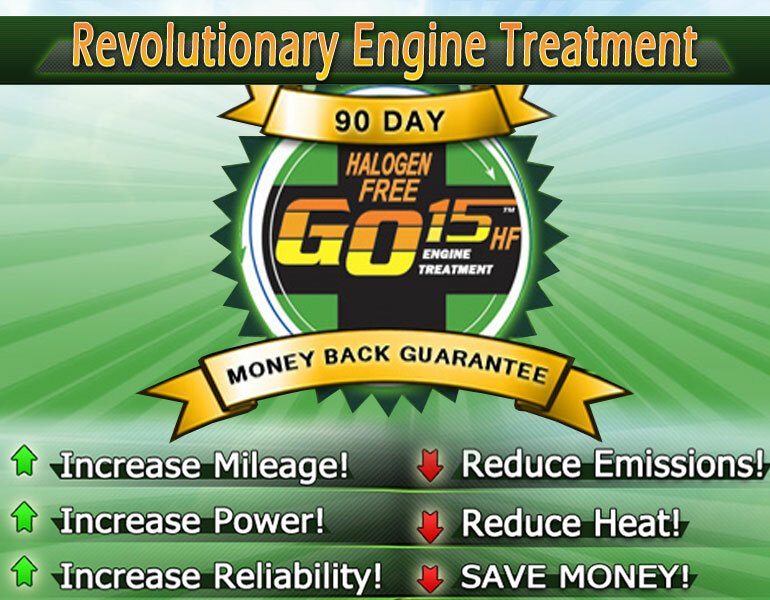 GO-15-HF™ engine treatment IS NOT AN OIL ADDITIVE – IT DOES NOT TREAT THE OIL! YES, you add it to your oil, but GO-15-HF™ simply uses the oil as a delivery mechanism and does not remain in oil, as other so-called additives do. Oil simply puts GO-15-HF™ where it needs to be – on your internal metal engine parts that are subject to high amounts of friction and heat where metal meets metal. Today’s oils are far more advanced than those used just 5 years ago, let alone decades ago, so why treat today’s oil when the problem is metal wear? TREAT THE METAL, NOT THE OIL! GO-15-HF™ engine treatment is safe to use on any metal-to-metal friction generating application. 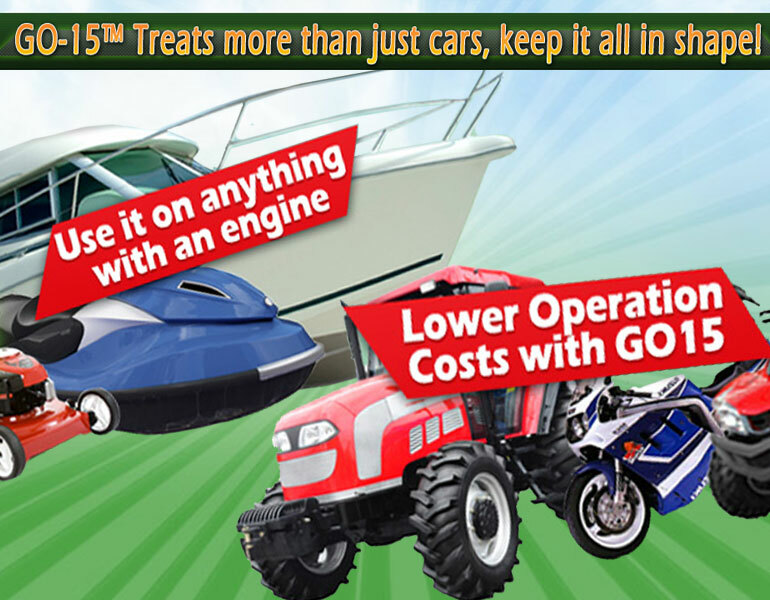 The savings you get from using GO-15-HF™, can give you a return on investment that can be felt every time you put gas into your vehicle. 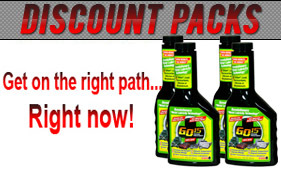 GO-15-HF™ treats the wearing metal surfaces and, as such, requires only a small amount of product.GO-15-HF™ is compatible with all types and forms of lubricating oils, gear oils, motor oils, compressor oils, lubricating grease, hydraulic fluids, etc. GO-15-HF™ and its "Metal Lubricity Technology®" uses heat and friction to produce a thermal reaction with the metal surface being treated. GO-15-HF™ is an energy technology that through the interaction of its trade secret ingredient MBS4 combines with heat and friction to produce a thermal reaction resulting in molecules of MBS4 to combine with molecules of the metal surface. This reaction creates a chemical condition known as Boundary Lubrication. A change in the chemical composition of the metal surface creates a new metal boundary surface that is free of most defects and friction points. 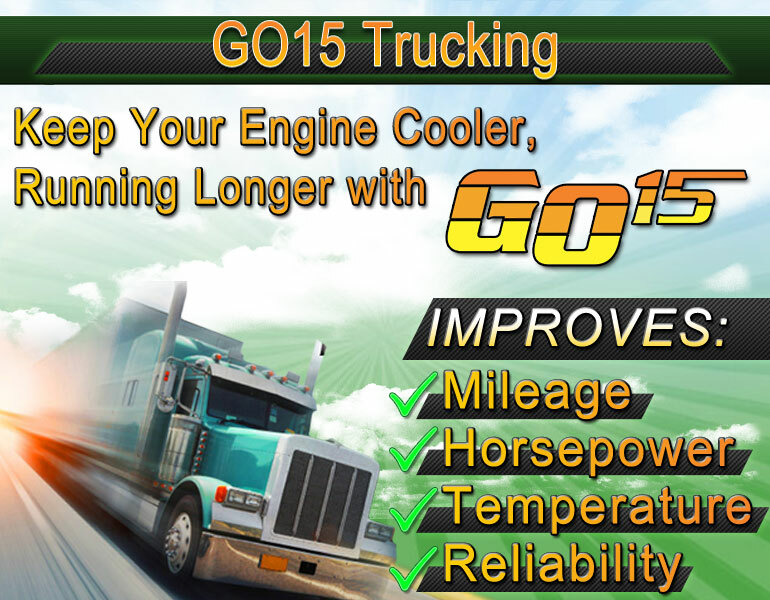 This improves most all of the related fundamental operating efficiencies of internal combustion engines.